As our founder and editor Mike Adams, the Health Ranger, has said on many occasions, everything we are exposed to in today’s world is fabricated. That is especially true when it comes to our food. The Kellogg company, on its website, bragged about an important-sounding “Breakfast Council” of so-called “independent experts” who assisted in devising its nutrition efforts. But nothing on its page said anything about the maker of Froot Loops and Frosted Flakes paying the “experts” and feeding them talking points – which is what the company did, according to a copy of a contract and emails that were obtained by The Associated Press. In fact, the company actually paid for its presstitutes: An average of $13,000 per year, while at the same time prohibiting them from providing media services for any products that either competed with Kellogg brands or cast them in a negative light. Also, the company required its experts to participate in “nutrition influencer outreach” with colleagues or on social media sites, and then report their efforts to company officials. “I’m still feeling great from my bowl of cereal & milk this morning! Mini-Wheats are my fave,” one council member posted as he engaged in Twitter chatter with Kellogg about the cereal’s benefits. The company introduced the dietitian as a “Breakfast Council Member,” AP noted. Another dietitian, also a member, added, without being upfront about her relationship with Kellogg, that Mini-Wheats were also her favorite, even including a photo of the cereal in her post. For the company, the breakfast council, which existed between 2011 and 2016, subtly obscured the line between impartial guidance on nutrition and overt promotion of various cereal products. 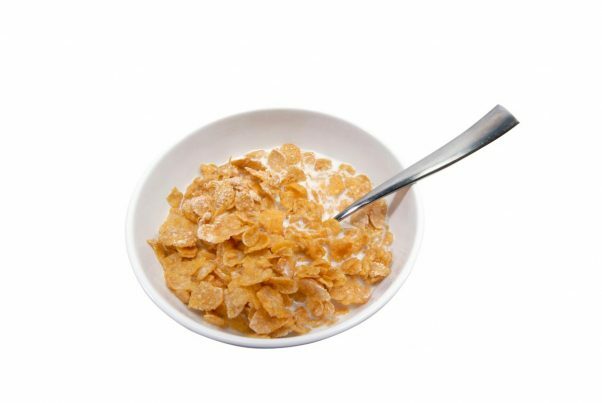 Kellogg used the council to provide continuing education for dietitians, as well as put out an academic paper on breakfast and attempt to influence dietary guidelines adopted by the U.S. government. The council also had as a member a professor of nutrition, a pediatrician and additional dietitians. The company told the AP that the council’s activities were very clearly being sponsored. But few agreed with that claim. Dayle Hayes, a dietitian who participated in a Twitter chat in 2014, told the newswire in an email that she is proud of her ethics and transparency, and that her efforts at disclosure have changed over time with evolving standards. And based on current standards, she noted she included the word “ad” in tweets when referencing Kellogg products. And she said she didn’t share any information without attaching proper disclosures. AP reported that Sylvia Klinger, the dietitian who posted the photo of the Mini-Wheats, did not respond to requests for comment. The cereal maker said it utilized the council for professional guidance and insight. And it said the experts contributed to a majority of materials they shared, while disclosing their affiliation with Kellogg when engaging with the public. That said, the company noted that the way it was paying an “independent” council could indeed raise suspicions and cause confusion, the AP said. Later, the company said it had reviewed its work on nutrition and made the decision not to continue the council. AP said the breakfast council page is no longer accessible online. The company said on its website that the breakfast council helped by providing Kellogg with guidance, though it was not clear all of the time who was actually providing it, member-wise. But from the outset, it appeared clear that the council was getting its marching orders, so to speak, from the company paying its members. For instance, when the company sent the council research it had commissioned, some members – including Hayes and Klinger – enthusiastically asked for the proper language to share it. “Would love Tweets with URLs,” Hayes wrote in one email, AP noted. In addition, the company also gave the experts a “tool kit” of phrases to tweet during a promotional event in New York City, as a costumed “Tony the Tiger” character mingled with guests. And when the members received emails criticizing them for their work at Kellogg, they also asked for response verbiage. “I appreciate and share you(r) interest in the health of our children. It’s for this very reason that I work with Kellogg,” one suggestion read. However, the experts merely decided not to respond at all. Throughout the existence of the council, members received materials, responses and other guidance on how to address criticism of sugary cereals as well.